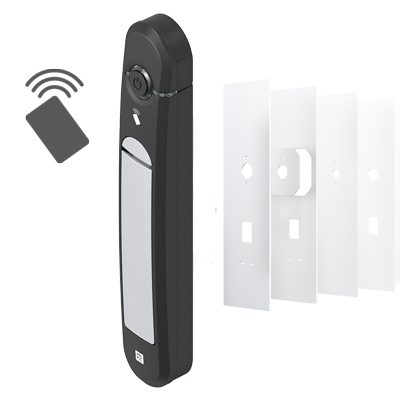 This version consist of a battery-operated AGENT E handle with integrated card reader for 125 kHz or 13.56 MHz RFID cards. By holding an authorised RFID card in front the integrated reader, the handle will open. Easy to configure by software. This handle does not require any external cabling to work.